At Giles & Posner we're passionate about food - and we're passionate about bright ideas too. Our fantastic range of products began with the chocolate fountain; we took the concept and expertly refined it, and the result was a rapidly growing range of well designed, reliable and high quality party and kitchen appliances. But the Giles & Posner mission didn't stop there. We continue to take the market knowledge and professional talents of our two founder chefs to create innovative and intriguing new ideas in food entertainment for you and - if you're a professional caterer - for your customers too. If you want to discover the experiences of tomorrow today, simply cast your eye over the excellent range of products that the Giles & Posner brand has to offer. Giles & Posner was founded in 2001 by two chefs, Darren Giles and Justin Posner, who originally created a chocolate fountain rental business for the professional catering market. They worked tirelessly to refine and culture the catering chocolate fountain, continuously manufacturing and reworking new designs, introducing them to the UK, European and Middle East Markets. 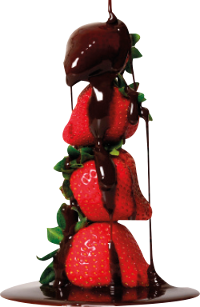 Due to their great initial success, the flourishing duo expanded the catering fountain range and launched the Giles & Posner collection of fondue chocolate for chocolate fountains and a range of home chocolate fountains for the retail market. Giles & Posner also developed the ?Art in Party?, ?EAT? and ?Retro? ranges and now work with major high street retailers to create their own brand products. Giles & Posner continue to bring new, innovative concepts to the market and distribute products worldwide to the Middle East, Asia and the USA. As members of Sedex, we are connected with our global suppliers to share ethical data, enabling us to offer peace of mind. We source from factories with the highest moral standards that pass all relevant food grade audits. At Giles & Posner, we are committed to the Ethical Code of Practice and follow product standards religiously to maintain trust and transparency with all of the Giles & Posner consumers. Registered in England and Wales at Companies House No. 3357718. Registered Office Manor Mill, Victoria Street, Chadderton, Oldham. OL9 0DD.